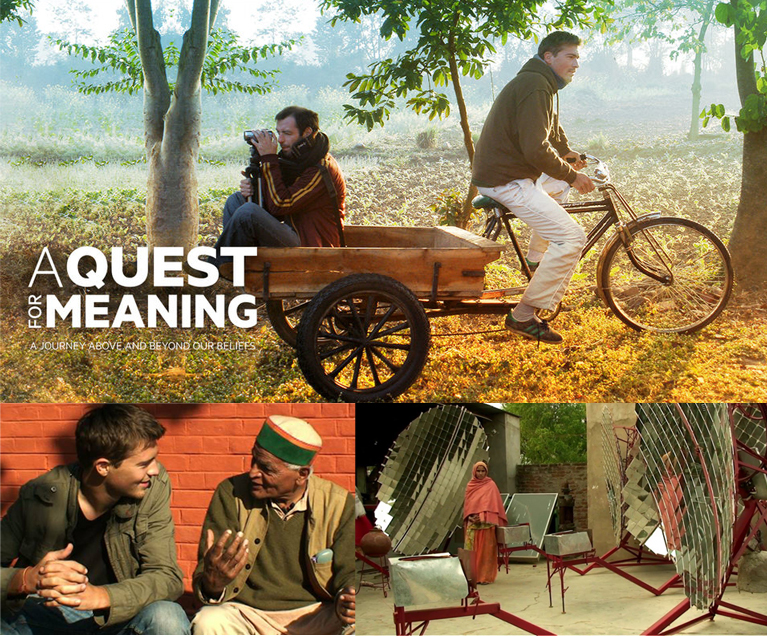 If you haven’t seen A Quest For Meaning - now is your chance! Register to watch for FREE with Charter partner, Films for the Planet until January 31. We are all prisoners of a logic which has proven destructive for mankind and planet Earth. To break the deadlock, Marc and Nathanaël tried to question the fundamental beliefs of modern society: separation, competition, and individualism. Their travels take them from India to Guatemala, through the United States and across Europe to discover the message of activists, biologists, philosophers and guardians of ancestral traditions from across the world. Interviews with Vandana Shiva, Bruce Lipton, Satish Kumar, Pierre Rabhi, Frédéric Lenoir and more are included on their quest. Want to know what the Charter for Compassion is up to for the next two years? Take a look at our strategic plan: Celebrating Compassion: 2018-19. How can you get involved? Start a compassionate initiative in your community. If your community already has an initiative, invite one of your sister cities to start a campaign. Bring the Think Equal project to your local school system. Help increase numbers of those who affirm the Charter for Compassion. Volunteer with the Charter for Compassion. The Internationalists: How a Radical Plan to Outlaw War Remade the World. February 9, 2018 8:00am Pacific Time. Register here. The Internationalists is a bold and provocative history of the men who fought to outlaw war and how an often overlooked treaty signed in 1928 was among the most transformative events in modern history. Authors Oona A. Hathaway and Scott J. Shapir tell the story of the Peace Pact by placing it in the long history of international law from the seventeenth century through the present, tracing this rich history through a fascinating and diverse array of lawyers, politicians and intellectuals. Special Gift! Special Course! Special Price! $10! Life is richer and more productive when it is in balance and includes self-compassion. We can give more to others when we have more to give! Self-compassion and balance can generate the energy and space you need to contribute your distinctive talents and compassionate action into the world. Everyone has something precious to contribute to humanity; and every precious piece is needed. This course proposes that minor shifts can create major change. These minor shifts can be implemented immediately! Affirm the Charter for Compassion! Join our campaign to get one million new affirmations to the Charter for Compassion by November 12, 2019, commemorating the tenth year in which the Charter was launched! Read the Charter for Compassion. Sign here. Get your friends, your family, your colleagues, and your religious/spiritual community members to join you! We encourage everyone to read and sign the Charter directly on the Charter website (or to find a volunteer who would be willing to electronically sign on behalf of others' handwritten signatures). If this isn't possible, we've attached a contact information form that you may send to us (P.O. Box 10787, Bainbridge Island, WA 98110). You are the Charter for Compassion and your donations and gifts of volunteerism keep us going. We appreciate your help. This is heart-filled and heart-felt work. If you want to change history, join us. Please donate.